Whether you are taking an advanced training course to gain an additional category on your licence for work and career purposes or merely to further your hobby, of course, the aim is to pass your advanced driving exam the first time. When taking an advanced driving course, you are already at a huge advantage because you would have already passed your practical driving test and know what to expect. One of the main everyday worries when it comes to exams is the fear of the unexpected, but this is lessened when it comes to your advanced driving exam as there are only a few small additional factors added. 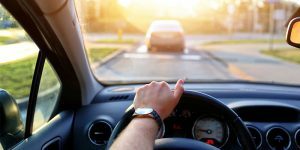 If you are considering booking an advanced driving course or you are preparing for your exam, take a look at these top tips to make the process a little less stressful. Observation is vital no matter the vehicle you are operating, but even more so when you upgrade to a bigger, more hazardous vehicle. If, for example, you were taking 7.5 tonne training course, one of the first thing you will need to get to grips with is the increased number of blind spots. You cannot do the general 360 observation when driving a lorry as the mirror placement is entirely different. There will be no interior mirror or back windows to use for vision; you will instead have to rely on maximised side mirrors. Putting your sole reliance on side mirrors makes it incredibly difficult to see any vehicles, cyclists or pedestrians that may be travelling behind you. Often heavy load vehicles will have a vibrant notice on the rear warning other road users of your limited visibility, recommending for them to keep a considerable distance. Many drivers maintain a strong focus on the road ahead, and while this is incredibly important, it is also vital to ensure that you are aware of all of your surroundings, paying particular notice to more vulnerable road users. Your instructor is there to give you as much honest feedback as possible, so use every piece of information they give you to your advantage. Constructive criticism is often one of the most beneficial learning curves, giving you a solid goal to work towards. Once you know your weaker areas, you will know exactly where you need to work on to prepare for your test. Practice makes perfect, and the more you go over things such as manoeuvres time after time again, it will stick. The concept of feedback works just as well in regards to praise; if you know your strengths, then you can track down the process in which you managed to make it click in your head and implement this into your weaker areas. Asking questions comes hand in hand with feedback, the more information you can gain, the more you can utilise it to your advantage. Each driver learns in different ways, and your instructor will understand this. All advanced driving course are taught on a one to one basis because it means that the sole focus can be on ensuring teaching is explicitly tailored to your requirements and preferred techniques. If a particular manoeuvre or skill seems unfamiliar or tricky to you, why not ask your instructor to demonstrate it? Or ask for useful advice that helped them to pass their exam? Particularly if you are taking a trailer towing training course, you will need to be fully aware of the process of uncoupling and re-coupling as it will be required to pass your exam. 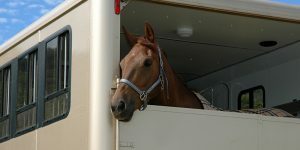 You must be able to prove at you can maintain full control over your trailer and can follow a strict routine quickly and safely. Your instructor will walk you through this during your training then ask you to try out the process. If you’re a little unsure about any step, your instructor will be more than happy to keep practising until you feel confident carry out both without any guidance. For a full explanation on uncoupling and re-coupling, take a look at this guide on how to uncouple and re-couple correctly. For many advanced driving courses such as ambulance driver training, you must also take a theory and hazard perception test before you can sit your exam, the same as you would do so in a regular driving test. This alone will give you the perfect opportunity to understand the basics of operating a new vehicle. There are many different helpful books including diagrams and explanations that will help you to pass your exam first time. We suggest taking a look at the following book, How to Be A Better Driver: Advanced Driving the Essential Guide. Any spare time you have, take a browse through some of the pages to get to know the essentials of driving your new vehicle and see whether you can incorporate any of their small tips and tips to your training. The advanced driving course in which you opt for depicts the number of ‘show me, tell me’ questions you are required to get right, this will be explained by your instructor when your exam approaches and they will be able to answer any necessary questions you may have. The earlier that you make yourself aware of the possible questions you may be asked, the more time you will have to revise. Many of the questions are basic knowledge that will immediately stick on your mind, but others are likely to need a little more work. Of course, everyone learns best in different ways, but one of the proven best ways to remember answers is to rope in a family member or friend to ask you the questions in a random order, while you see how many you can get right. Examiners love when you are able to prove that you can use your own initiative and react to situations calmly. Essentially, their role is to test whether you are a positive driver who they can trust will be safe on the road and respect other road users. Be confident and have faith in yourself!